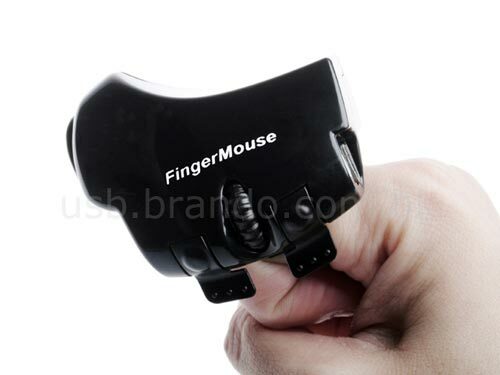 Check out this USB Wireless Finger Mouse. 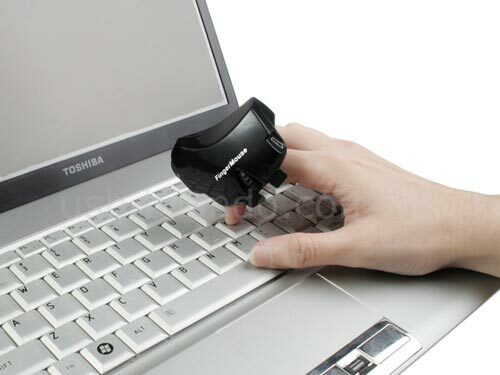 USB Wireless Finger Mouse which will never hunt for any space on your desk. Use this novel ergonomic mouse which fits on your finger while you are working or surfing on the Internet. The Wireless USB Finger Mouse is available to buy online for $38 from Brando.